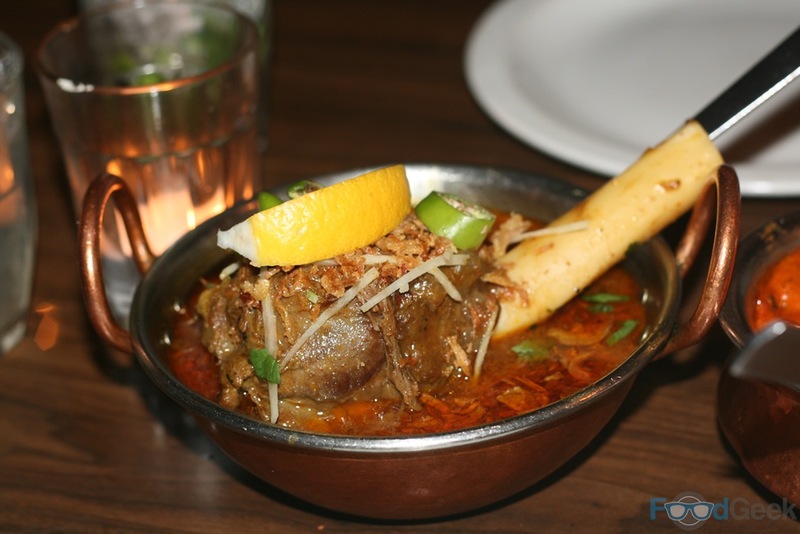 Despite being one of my favourite places to eat in Manchester and the restaurant I ate at the most in 2014, I haven’t written about Mughli for ages. Not because they weren’t great experiences, far from it, I just didn’t feel there was much more to say that I’d not already said here. However, I couldn’t resist sharing my last two visits, close together, late last year. The second trip was dedicated solely to the recently launched (at the time) new menu, so in anticipation of that on the first occasion I ate only old favourites. 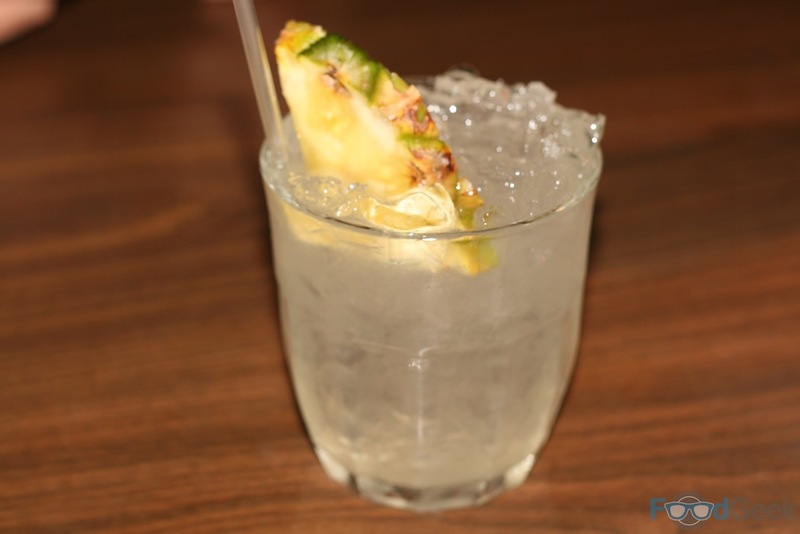 The first visit started with a couple of cocktails; ‘Ananas Batida’, a Brazilian inspired combination of Cachaca, fresh pineapple and lime and a ‘Watermelon Mojito’, a refreshing, fruity take on my all time favourite. 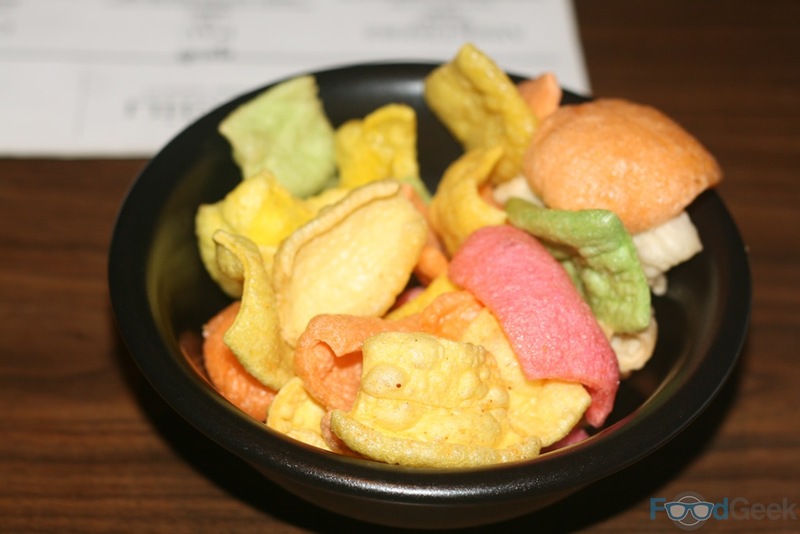 Followed by the only way to start a meal at Mughli; the wonderfully colourful, deep-fried snack known as ‘Far Far’. 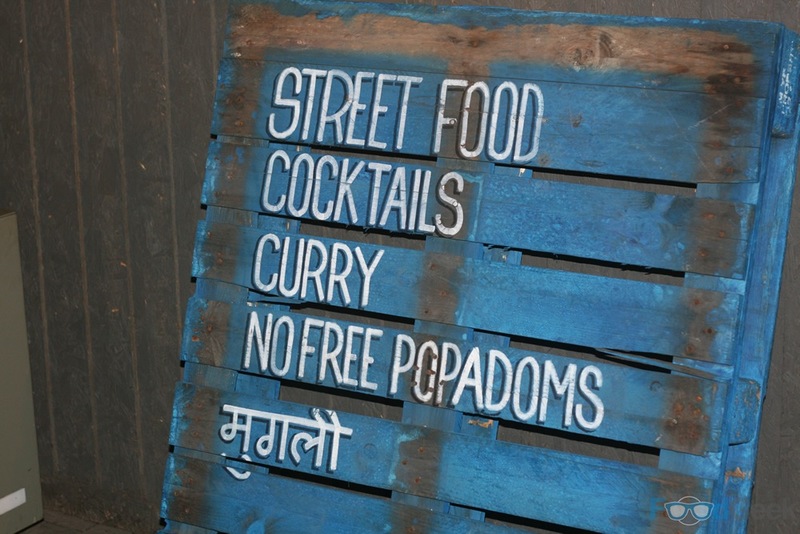 Then three items from the ‘Street Food’ menu that I’ve ordered practically every time since their launch. ‘Gunpowder Chips’ are seriously addictive sweet potato fries topped with a killer chilli lemon salt. ‘Halloumi Menander’ is probably the dish I’ve eaten most often. I can’t get enough of the brilliantly spiced, fried squeaky cheese. And ‘Pani Puri’, crisp, hollow puri shells filled with onion, spiced chaat, crunchy chickpea noodles and pomegranate seeds. They’re so fresh, vibrant and zingy, just a stunning combination of flavours and textures. 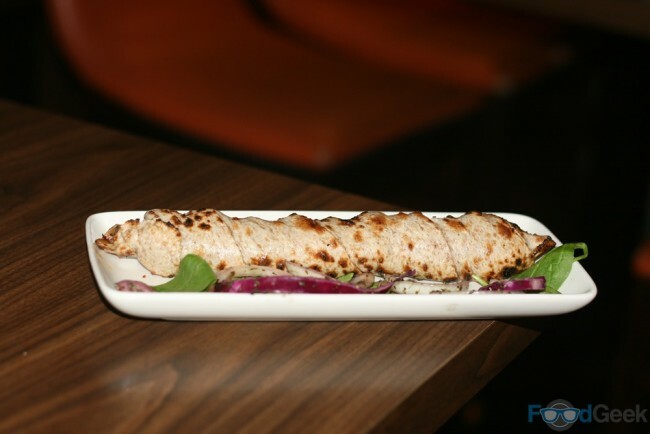 Along with another favourite, ‘Lamb Kati Roll’ (formerly known as a Tava Roll). Spiced lamb mince is smothered in chilli sauce before being wrapped in a roti and char-grilled. Easily one of the best kebabs around. There was one starter I’d purposefully avoided for ages, so given the nature of the visit thought it was about time I tried. 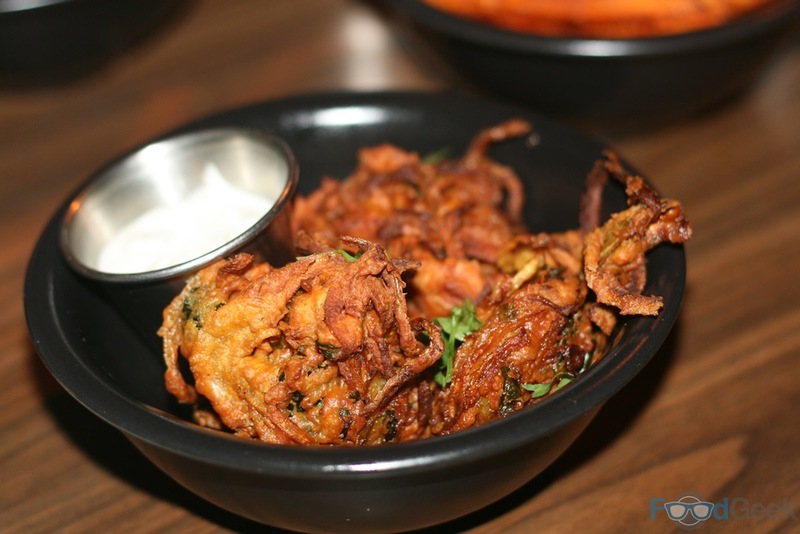 ‘Spinach & Onion Bhajias’ were much better than the bland, dried out stuff I remembered eating elsewhere but they just didn’t excite me like the other dishes here do. 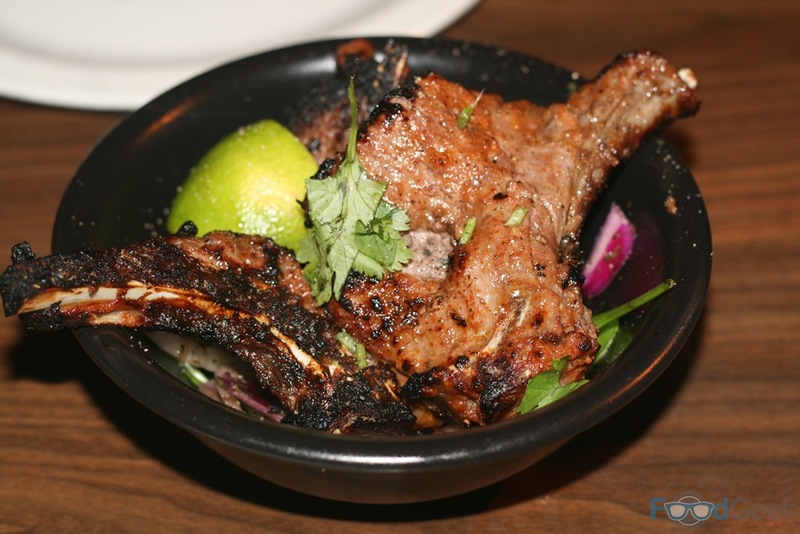 Next up, ‘Lamb Chops’ from the charcoal pit. These are ridiculously good. Dark and gnarly on the outside, beautifully pink and moist inside with an incredible depth of flavour from their spicy marinade. 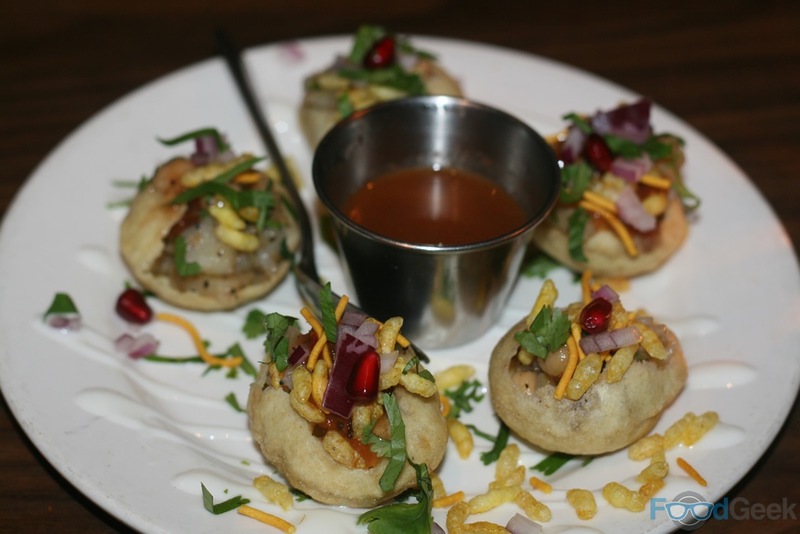 It’s tempting not to bother with main courses at Mughli since the street food is so good, but then you’d miss out on some great curries. Two of the best are the ‘Butter Chicken’, so rich and beautifully spiced and ‘Lamb Nihari’, which is more of a stew really. The lamb shank is ridiculously tender; to say it falls off the bone it’s now served on would be an understatement. 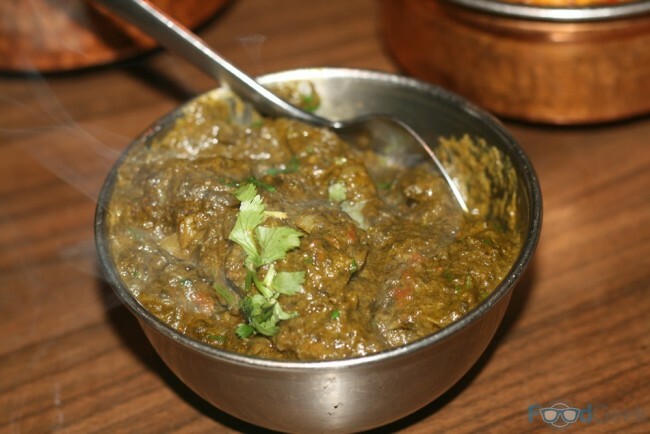 It’s full of flavour too, rich and meaty from bone marrow juices and more wonderful spicing. My second visit a couple of weeks later was all about the new. 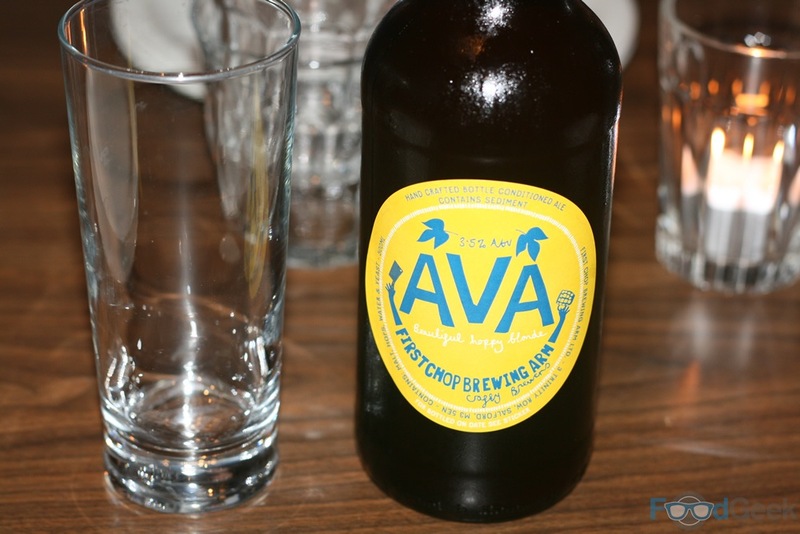 Starting with the new and improved beer menu, which I played a small part in. It now features quality local breweries like First Chop and one of my personal favourites, Runaway. 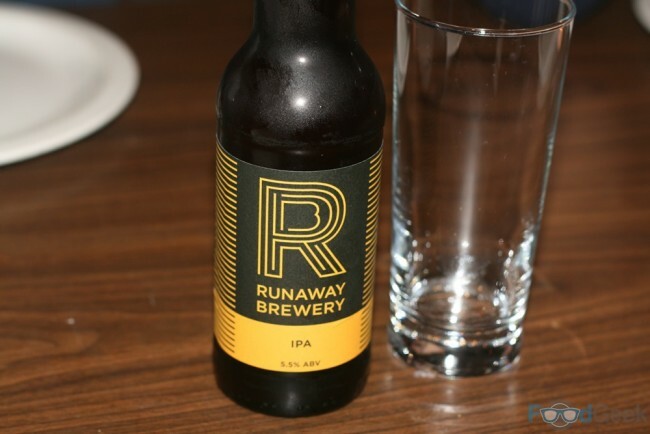 Their IPA is a perfect match for some of the spicier dishes. 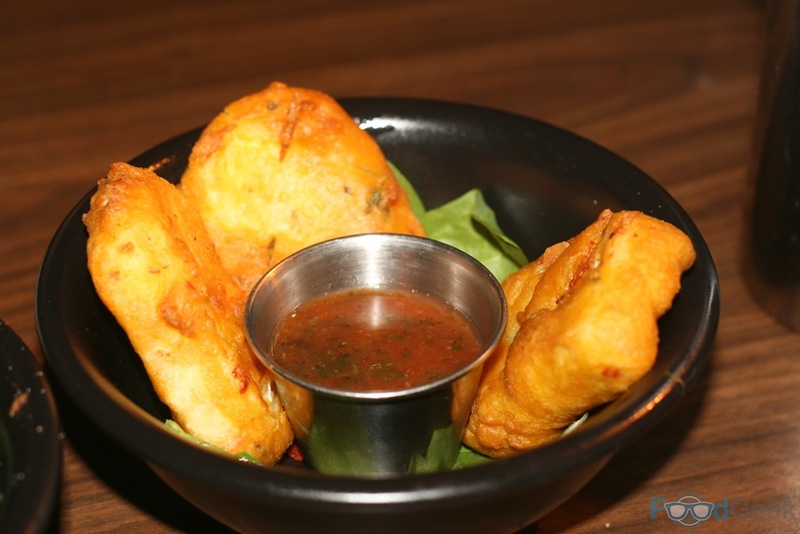 There are plenty of new dishes on the Street Food Menu. 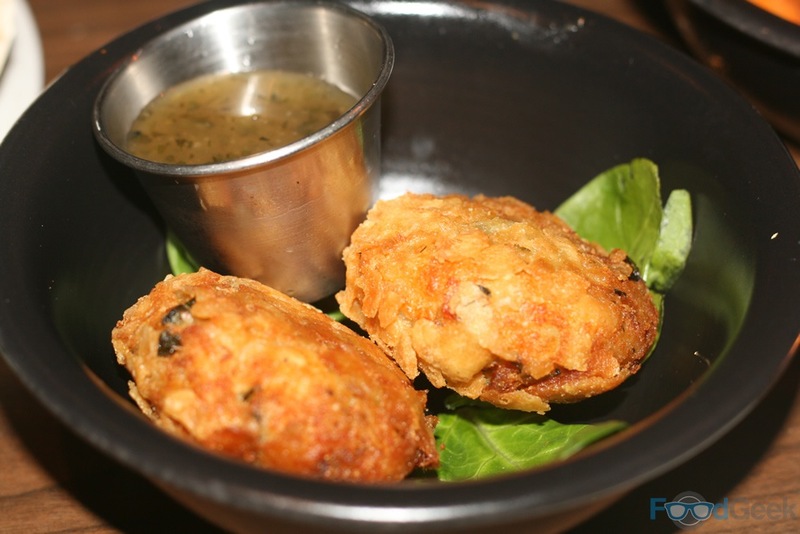 Starting with ‘Kerelan Fish Cakes’, which were enjoyable but perhaps a touch on the dry side, though the punchy sauce on the side certainly helped. No such concern for the ‘Papri Chaat’ though. 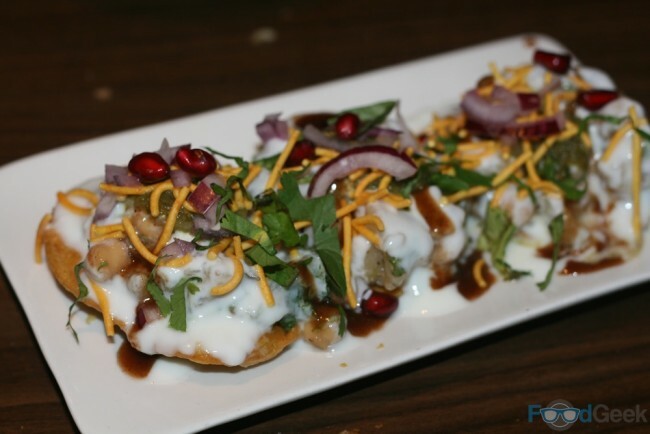 The thin pastry rounds are covered with various chaat, salsas, sauces and chutneys. There’s so much going on here, but in a very good way. 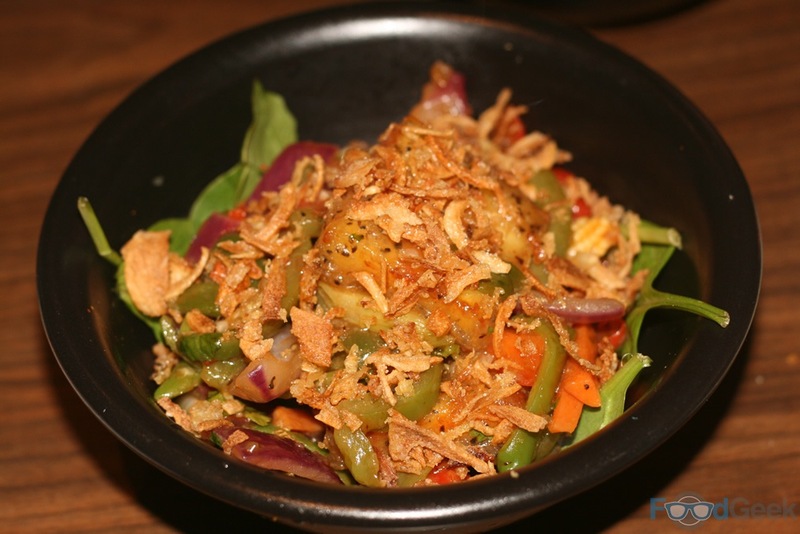 One of my favourite new dishes is ‘Chilli Paneer’, a salad of peppers, onions and baby corn with generous chunks of Indian cheese and really rather hot (I know, even for me) green chillies. But the two dishes I was looking forward to the most didn’t disappoint either. 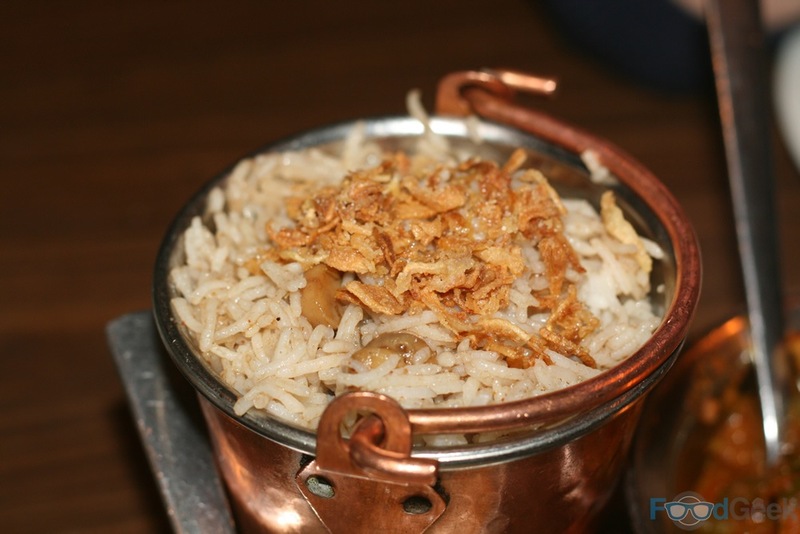 Both of the ‘Pau’ dishes – named after the bread often served from road side carts in India and Pakistan – were fantastic. 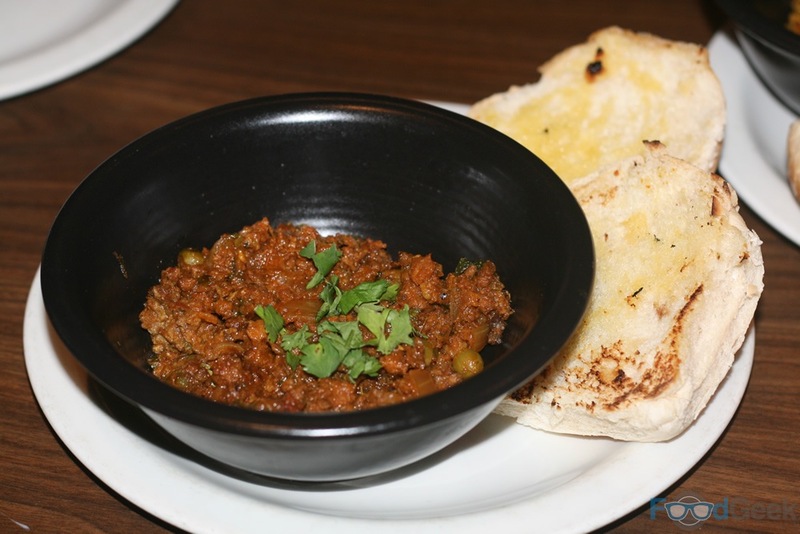 ‘Keema Pau’ is meaty and spicy, with a sweetness and freshness coming from the peas. I’d eaten a similar dish at fancy, Michelin starred Mayfair restaurant Gymkhana earlier in the year, which I loved, but this version is easily as good and significantly cheaper. 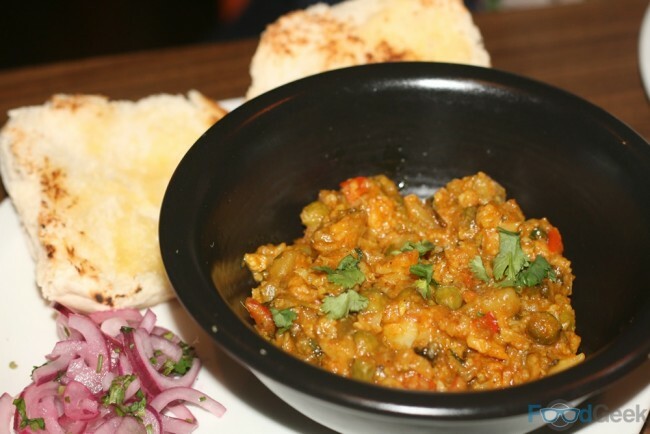 While the vegetarian version ‘Pau Bhaji’ was somehow even better, essentially a simple dish of smashed, deliciously spiced vegetables and potatoes. It’s the skilful combination of spices that adds layers of flavour and depth to the soft, smooth vegetables that makes it so great. 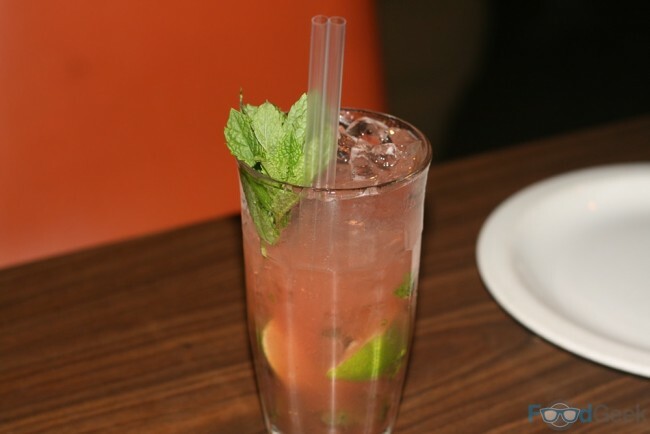 I can’t imagine ever going to Mughli and not ordering this now. On to the main courses; I’m not sure if ‘Daal Makhni’ is new but I’d never ordered it before. 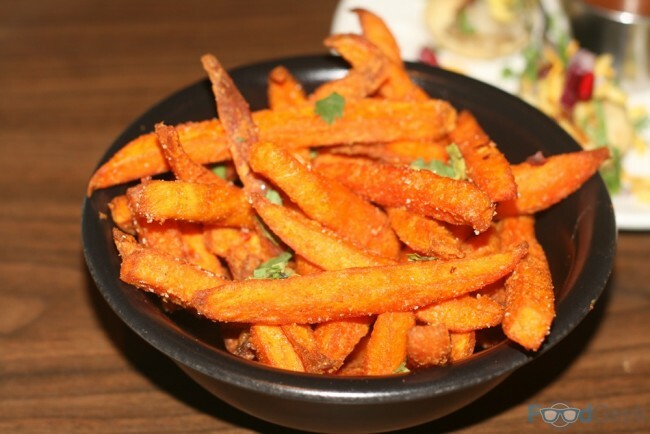 Possibly because I often order the similar side dish ‘Daal Tarka’. But the main course version is lovely too. 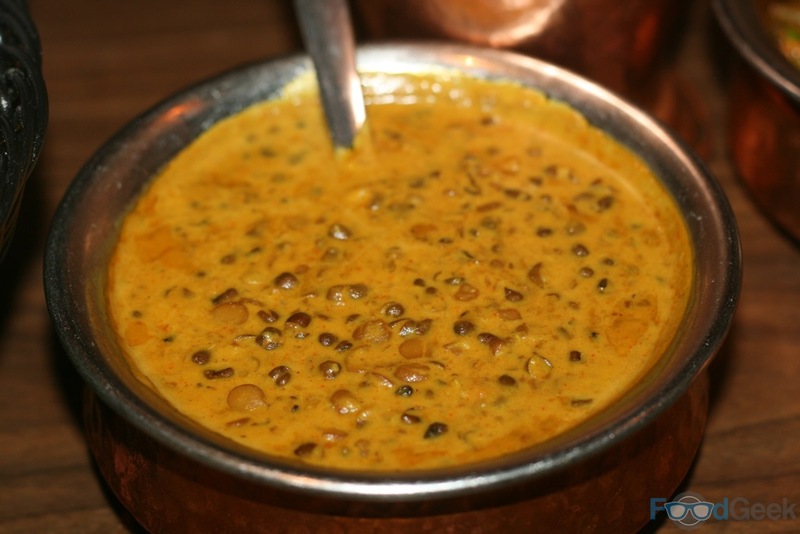 Black and yellow lentils are slow cooked with kidney beans to make a super thick and creamy sauce that’s packed with flavour. Prepare yourself for a shock, for next is probably the only underwhelming dish I’ve ever eaten at Mughli. Not that there’s particularly anything wrong with their ‘Chicken Sindhi’ to be fair. 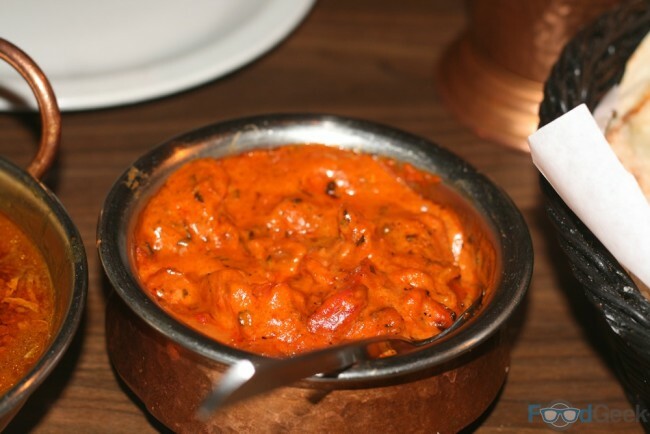 Similar to a Jalfrezi, the pepper heavy dish is tasty enough but not as good as Jalfrezi’s I’ve had elsewhere and not a patch on the likes of Butter Chicken, Nihari and Chennai here. 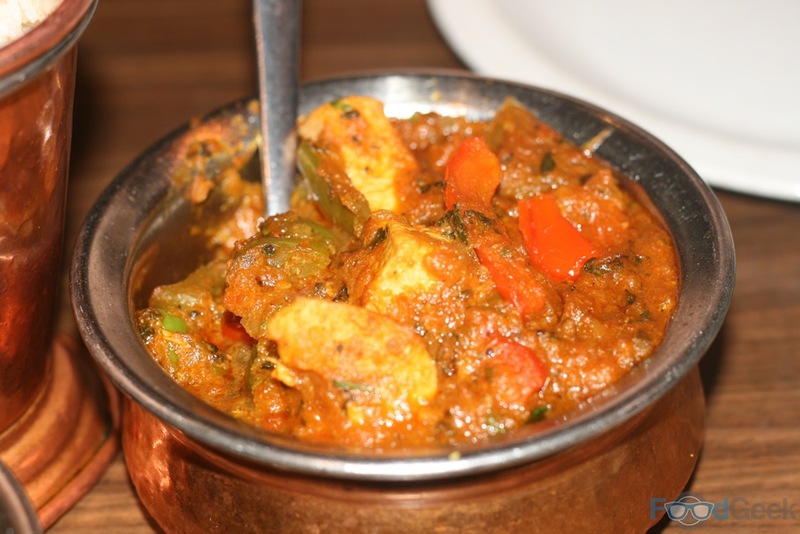 There’s always room for a couple of sides too; usually aubergine mash but on this occasion, because we’d never tried it before, ‘Sag Aloo’. For me it could use a touch more spice but the smooth, creamy texture is really good. One thing I don’t experiment with at Mughli is rice and bread. 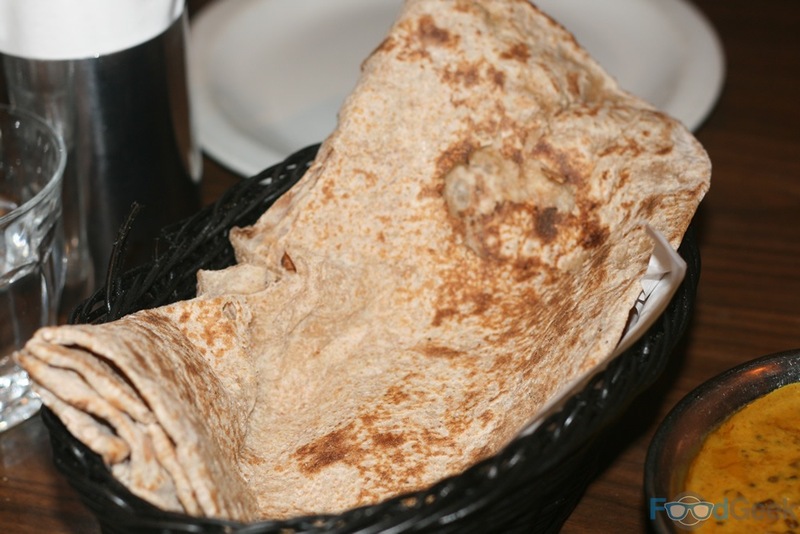 It’s always ‘Tamarind Mushroom Rice’ and either ‘Peter’s Bread’ or on these two occasions, the much lighter ‘Roti’ (pro tip: you can eat more curry if you have a roti rather than a naan). So there you have it, two totally separate trips, one eating only old favourites and the other eating only new dishes. Both were brilliant. 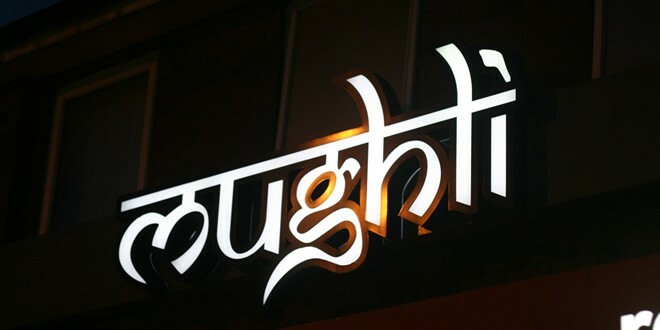 These two visits proved yet again that Mughli is not only the best Indian restaurant in Manchester but one of the best overall restaurants, especially when value is taken into account. Hopefully the next time I visit Mughli won’t be in Rusholme but at their Alderley Edge popup, The Railway Cafe which is now fully open. Early reports are excellent and the food looks simply stunning, I can’t wait to try it. 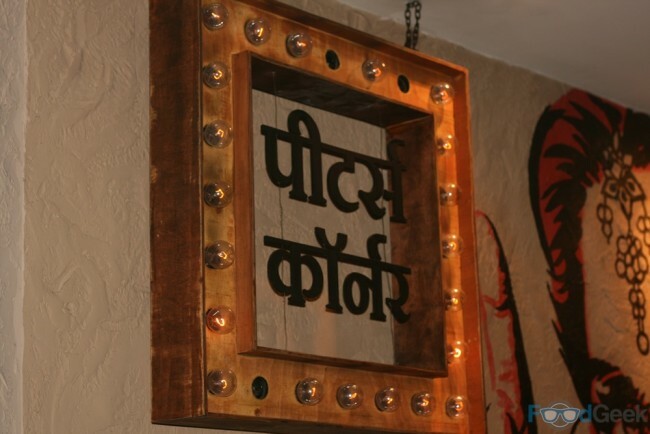 Summary : Simply the best Indian food in Manchester.